So you’ve said it again and again – “I’m going to get all my dental problems taken care of once and for all” – and yet you still can’t seem to get the courage to make that appointment and get the procedures you need for the healthy, beautiful smile you want. You’re not alone. Fear of the dentist is an extremely common condition that affects millions of people. Usually it revolves around an aversion to the sights, smells, sounds, and sensations associated with being in the dentist’s chair, but over time the fear can spin out of control and cause you to avoid the dentist at all costs, even at the expense of your health. Luckily, fear of the dentist does not have to be a problem, and in fact for the past three decades even our most anxious and nervous patients have had calm and comfortable dental visits, thanks to the wonders of sedation dentistry. Sedation dentistry is available to you if you need to have dental work done, but are hesitating to make an appointment out of fear that it will be too painful or uncomfortable for you. 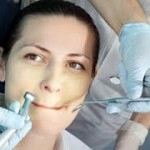 Many people choose sedation dentistry for various reasons. Some are having complex procedures done that could be stressful. Others have had bad dental experiences in the past and do not want to repeat the trauma. Still others simply want their dental visit to be as pleasant as possible. Sedation dentistry may be a good option for you for any of these reasons. The sedative used in our sedation dentistry is administered via a small pill that you will have to take an hour before your dental appointment. You will then need a companion to drive you to our office, as well as picking you up to drive you home. While you are at our office, we will take care of you and keep you warm as you become drowsy. After your dental procedures are finished, you will wake up gradually with little or no memory of your time in the dentist’s chair. Although you will not be unconscious during your sedation dentistry, you will be deeply relaxed and comfortable. Most patients come out of the sedation having experienced no discomfort, and feeling refreshed. If you would like to learn more about how sedation dentistry can help you, do not hesitate to contact us to set up a consultation.